Social media continues to dominate the digital world. Back in the day, before the rise of Facebook, LinkedIn, and the other social media giants, many marketers wouldn’t have wanted to waste time on social media for the marginal gains it would provide. But now, in 2019, social media marketing strategies are a must. In June 2018, Facebook had 1.47 billion daily active users and 2.23 billion monthly active users. Content consumption increased by 57 percent in the last two years. About three of four (74 percent) of people say they use Facebook for professional reasons. By June 2018, Instagram hit one billion monthly users. Instagram was estimated to generate $5.48 billion in U.S. ad revenue in 2018. Over 400 million Instagram users creating Instagram stories every day. Content consumption increased by 21 percent over the last couple of years. CEOs average 930 connections on the platform. Four in 10 members visit the platform each day. As you can see, there is a lot of activity on social media platforms. 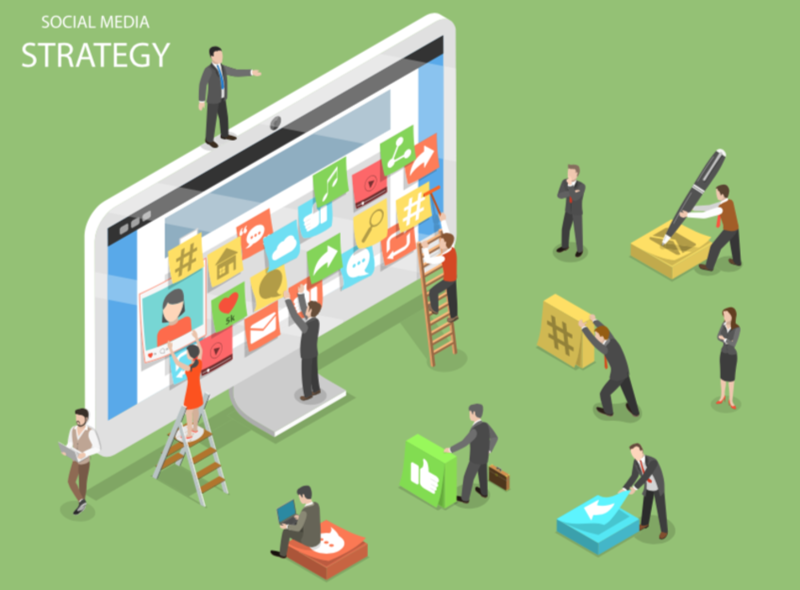 No matter your industry or whether you're B2B or B2C, you need a social media marketing strategy. It can feel overwhelming to throw your hat into the crowded social media ring. To make this transition easier, make sure you have these fundamentals down first. Social media is a huge part of driving traffic to your website and content. With over a billion potential customers on social media sites, you need a dedicated person looking after your social presence. Social media specialists live and breathe each of the platforms your audience is using. 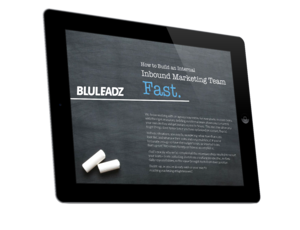 They stay up to date on the latest features and know exactly how to deliver content and engage with your community. This person will be the one to make sure that your company keeps up with new trends in social media, avoids common mistakes, and remains relevant in ongoing discussions on social media channels. They can also participate in online communities, like LinkedIn Groups and sites like Quora and Reddit. The more your specialist is connecting and engaging with relevant audiences, the more successful your social media marketing strategy will be. While some might think it's important to start slow and focus on getting one social media channel right at a time, you likely won't see many results by limiting yourself. This is why as you're preparing your strategy, make sure your team is planning for each social media channel. However, do your research before investing your resources into every platform. For example, your target audience might be manufacturing CEOs. They're most likely not very active on Snapchat, so you might want to skip that one. The point is, you will definitely need to be active on more than one channel. And you should do your research to ensure your audience in the channels you're being active on. As you build out each plan for individual channels, set smart goals, like increasing your followers by 30 percent in the second quarter of the year. This helps your social media marketing team report their successes and adjust their plans to achieve their objectives. As you know, measuring is a must in all aspects of digital marketing. Not only does analysis help you and your team stay efficient and invest in the right tactics, but it also helps prove ROI to leadership. Measuring ROI was a top challenge in 2018, according to 55 percent of social media marketers. You don't want to leave analytics as an afterthought. Work closely with your team to identify relevant KPIs to measure your success for your social media marketing strategy throughout the year. These metrics should align with your smart goals. For example, if you're striving to drive traffic to your website, make sure you're measuring referral traffic from your social media content. Capture data from each channel you're active on so you get an idea of impressions, mentions, visits, engagement, likes, comments, and general reach of your social presence. This holistic picture will help your team build a sustainable, data-driven approach to strategizing for years to come. Managing your social media marketing efforts in real time 24/7 can be an enormous strain on any organization. But thanks to technology, you don't have to do this. There are plenty of aspects of your social media marketing strategy that you can automate, like scheduling posts and pulling analytics reports for specific campaigns. Mention monitoring – Track your brand mentions or specific keywords you're targeting. Auto-publishing – Link your site to your channels to automatically share new blog posts, landing pages, and other content with your followers. Interaction notifications – Stay engaged with your community by responding to comments and tags in real time. With these tools, you don't have to log into two or three different networks at the same time to make posts during the lunch hour. Instead, you can plan ahead, automate publishing, simplify social listening, and stay communicative. Set ambitious goals for your social media marketing strategy this year. When you establish these four fundamentals, you're ready to achieve your objectives and drive real business results.